Editor's note: An earlier version of this report misspelled Nicole Bivens Collinson's name. It has been corrected. WASHINGTON -- President Donald Trump said he plans to impose steep tariffs on steel and aluminum imports and that worries the Canadian Automotive Parts Manufacturers’ Association. The tariffs would be one of Trump’s toughest actions yet to implement a hawkish trade agenda that risks antagonizing friends and foes alike. Trump, during a meeting with steel executives Thursday in the White House, said he plans to announce tariffs of 25 per cent on steel and 10 per cent on aluminum from all countries. One person close to the president earlier said the details of the decision may still change, and it’s possible some countries may be granted exemptions. "Our Steel and Aluminum industries (and many others) have been decimated by decades of unfair trade and bad policy with countries from around the world,” Trump said in a Twitter posting Thursday. “We must not let our country, companies and workers be taken advantage of any longer. We want free, fair and SMART TRADE!" That makes U.S. customers will be “stuck paying” the increased costs . “The trickle effect to parts and cars that cross the border in the build-up process means we all get punished with higher costs while our new [Trans-Pacific Partnership trade deal] partners, who will sell us wholly assembled across the Pacific Ocean, just got another boost,” he said. The Detroit Three say the proposed combination of tariffs and quotas would raise their costs, even though most of the raw materials are obtained in the U.S., while suppliers say they must rely on imports for specialty products and should be exempted from the proposed limits. “We are concerned with the unintended consequences the proposals would have, particularly that it will lead to higher prices for steel and aluminum here in the United States compared to the price paid by our global competitors,” the American Automotive Policy Council, which represents Fiat Chrysler, Ford Motor Co., and General Motors, said in a statement before Trump’s decision. Steel and aluminum users can seek exclusions from the tariffs and quotas if they can make the case that there isn’t enough U.S. production capacity or the right product to meet their needs. But the supplier industry says it doesn’t want individual companies to have to go through a burdensome government process and face interruption to their supply chains, especially with specialty materials and components. Automakers contacted by Automotive News had downplayed the potential effect of the proposed import limits on their operations, saying they use very little imported steel and aluminum. Ford sources 95 per cent of its steel and 98 per cent of its aluminum from domestic mills, spokeswoman Christin Baker said. The company is a large buyer of lighter-weight aluminum, which it began using in recent years in body panels for F-series pickups and large SUVs. The vast majority of Toyota North America’s steel and aluminum purchases come from North America, and most of that is from the U.S., spokeswoman Karen Nielsen said. She declined, citing competitive reasons, to provide details on what types of specialty steel Toyota imports. The investigations leading up to the Commerce Department recommendation were conducted under a rarely used trade authority designed to protect industries that are important to national security, including those that support the military and infrastructure. The department noted in its findings that the U.S. imports nearly four times as much as steel as it imports, and that global steelmaking capacity has more than doubled since 2000, while U.S. capacity has shrunk. As a remedy, the Commerce Department proposed that steel imports be subject to a 24 per cent global tariff, with options for a 53 per cent tariff on steel from a dozen countries or a quota equal to 63 per cent of each country’s 2017 exports to the U.S. 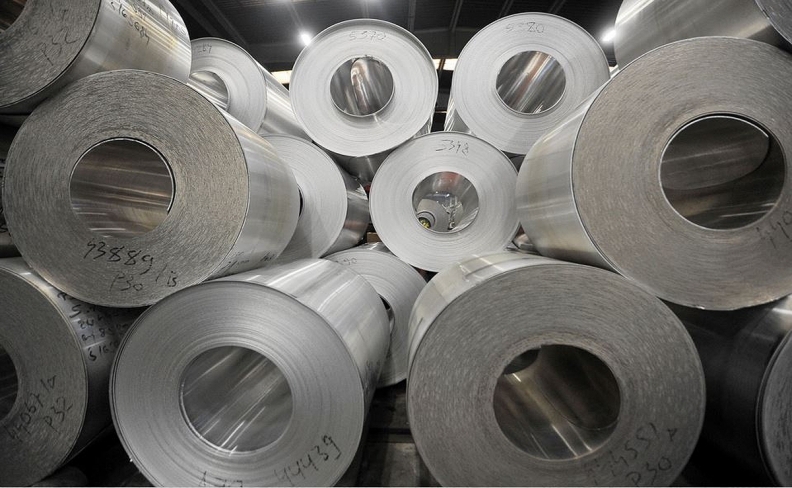 The recommended tariff for aluminum was 7.7 per cent for all imports, with options for a 23.6 per cent tariff on products from China, Hong Kong, Venezuela and Vietnam, plus quotas that would slightly reduce or maintain imports at 2017 levels. Nicole Bivens Collinson, who heads the international trade and government relations practice at Sandler, Travis & Rosenberg, said in a company webinar that she expects retaliation by other countries against U.S. exports. “They may hurt not only U.S. manufacturers and farmers exporting to those countries,” she said, “We may also impact downstream [companies] who are using steel and aluminum,” such as construction firms. Then president has been considering a range of options to curb imports of steel and aluminum, after the Commerce Department concluded shipments of the two metals hurt U.S. national security. While China accounts for just a fraction of U.S. imports of the metals, it’s accused of flooding the global market and dragging down prices. Eric Kulisch, Greg Layson and Bloomberg contributed to this report.